 Student Life Research primarily gathers and shares information about University of Michigan students and student life for Student Life. It serves as a resource for creating assessment tools, collecting data, sharing results, increasing knowledge about UM students, and more. Starting at UM? Complete your CIRP survey! We are excited to welcome you to the University. Over the coming weeks, if you are a first year undergraduate, you'll be preparing to attend New Student Orientation. We want to let you know about a survey we hope you will complete during that orientation. November 2017 -- With the November elections, the latest infographic "Who Goes Blue? U-M Sophomores on Civic Engagement" presents a wide range of data about current University of Michigan sophomore’s perspectives on and behaviors around civic and political engagement, as reported on the 2016 CIRP Survey. Please keep in mind that CIRP is completed during New Student Orientation before students start their first semester at U-M.
October 2017 -- With the University of Michigan in its second year of implementing its Diversity, Equity, and Inclusion Plan, understanding our students’ self-perceptions, beliefs, and values related to key diversity and inclusion issues is essential. Examining areas such as the extent to which U-M students value promoting racial understanding or their perceived abilities to work with diverse people give us insight into how we can support all of our students and strive for inclusive excellence. September 2017 -- Every year, the University of Michigan Office of the Vice President for Student Life asks first-year students to complete the CIRP survey as part of their New Student Orientation experience. CIRP gauges incoming students’ experiences on a variety of issues including background characteristics, high school experiences, attitudes, behaviors, and expectations for college. This information is valuable as we develop, implement, and improve our services, programs, and educational offerings to both challenge and support our students to facilitate their growth. It is easy to assume that students today are like students 10, 20, or 30 years ago. However, part of the work we do with CIRP data is to investigate how students at Michigan change over the years – to challenge our assumptions. We also show how students are different at Michigan (or are not different) from students at other public highly selective universities. We hope this snapshot helps you understand our students a bit better. Student Life Research serves as a resource for many University of Michigan departments and units for creating assessment tools, collecting data, disseminating results, and generally expanding our knowledge of students at the University. Read more about our mission.